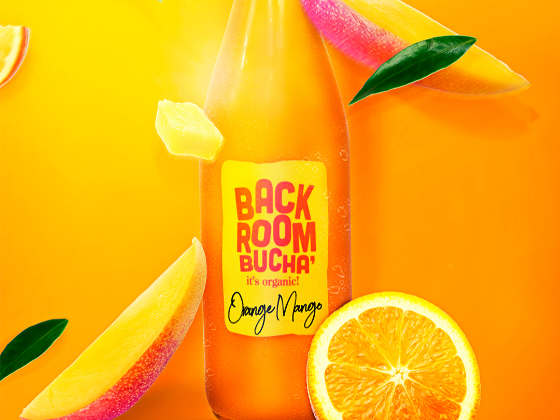 Back Room Bucha was born literally, in the back room of the creative department at Outfront Studios. 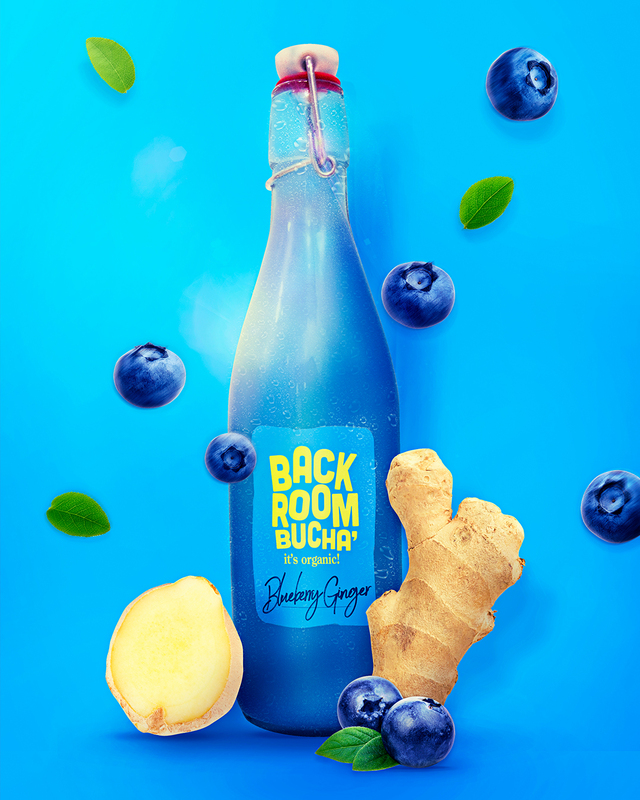 (Part of Outfront Media) We love drinking kombucha tea and the health benefits it provides, but it can add up quickly when you are drinking it everyday. So this is why we decided to start brewing our own! AND we are designers after all, so it seemed perfectly logical to create our own branding to accompany our tasty brews. Bottles are shared with co workers, friends and family. It's not only a fun side project to share with others, but also great to share in something that has lots of health benefits! The label is designed to be written on. We often prefer to write the name of who we are sharing our drink with, but we also handwrite the flavor on the label as well.